Our Edmonton office, formerly Cook Duke Cox, traces its roots back to a period shortly after the crude oil discovery near Leduc #1 that started the Alberta oil rush. In 1999, the Edmonton office forged a relationship with Miller Thomson, laying the cornerstone of our truly national firm. 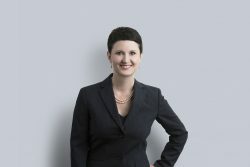 To this day, Miller Thomson is one of the city’s leading commercial law firms, with lawyers of national and international reputation who continue to have deep connections to Edmonton’s local history.